"Working Together to Save More Lives” was the theme for a summit of 43 representatives of the Auxiliary and active duty Coast Guard and the Alabama Marine Police (AMP) who came together to share information and ideas on March 27, 2010. The event was hosted by Bass Pro Shops in Prattville, Alabama, with the support of Eric Alford, general manager of the sporting goods store. The idea for the summit came from Jake Shaw, Flotilla 89, Montgomery, Alabama, who was inspired to organize the event when he was the Alabama state liaison officer and responsible for maintaining relations between the Coast Guard Auxiliary and the Alabama Boating Law Administrator. The Boating Law Administrator is typically involved in the enforcement of recreational boating laws for his state. The current state liaison is Eric Toxey, Flotilla 87, Birmingham, Alabama. Leaders present included Captain James Montgomery, Eighth District-Coastal Director of Auxiliary; Commodore Larry Richmond, Auxiliary Eighth District-Coastal; Captain Steve Poulin, Sector Commander Mobile, whose command has responsibility for the majority of the state of Alabama; Hobbie Sealy, assistant commissioner, Department of Conservation and Natural Resources, State of Alabama; John T. Jenkins, director, Alabama Marine Police; and Major Bob Huffaker, chief enforcement officer, Alabama Marine Police. They were joined by nearly every sworn officer in the Alabama Marine Police and leaders from nearly every flotilla in both Coastal and Eastern Regions of District Eight within Alabama. The ability of Auxiliarists while on patrol to communicate with and gain the assistance of the AMP was identified by Commodore Richmond as one of the key concerns for the Auxiliary. Several solutions emerged, including the hope that in the future, Auxiliary vessels on Alabama waters may be able to secure use of state-owned 700-MHz radios, just as are available for certain Auxiliary vessels in New Mexico. Auxiliary instructors may gain certification as Alabama Boating Safety Instructors and will either be able to assist AMP personnel in instructing the state course or to issue Alabama completion certificates for Auxiliary courses that are approved by the National Association of State Boating Law Administrators. Alabama requires a license for every boater in the state. Alabama law requires that owners of vessels with marine sanitation devices (MSDs) display a decal to show that the device has had an annual inspection. AMP will train Auxiliary vessel examiners to become state-certified MSD inspectors. There is no enforcement involved in this activity, but just as vessel examiners issue a decal when a boat passes all the requirements specified on the vessel examination checklist, MSD inspectors would issue a decal when an MSD passes a predetermined inspection checklist. Citizens Action Network was introduced to the AMP and there was agreement that it would be a terrific adjunct to AMP enforcement and a resource in search and rescue situations. 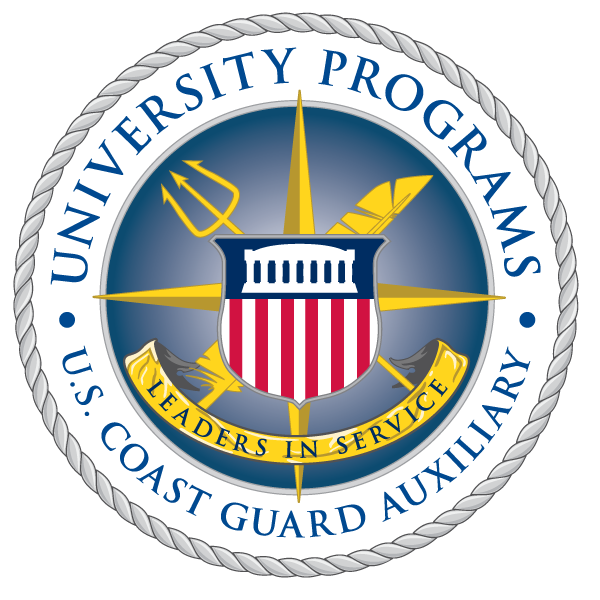 The day ended with unanimous agreement that the summit was the beginning of some very exciting synergy between the Coast Guard, Coast Guard Auxiliary, and Alabama Marine Police. In the coastal areas, a close working relationship already exists between the active duty Coast Guard and AMP. Expectations are that the summit will promote a working relationship that makes recreational boating safer throughout the entire state of Alabama.